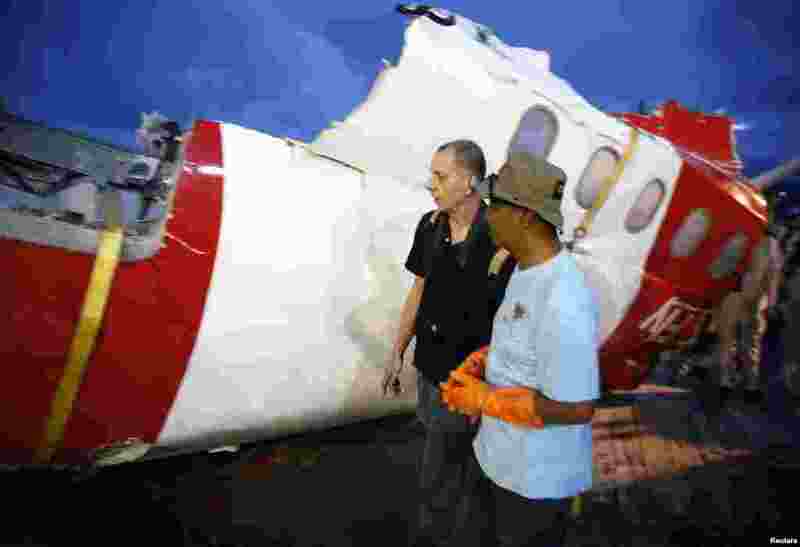 1 The flight data recorder from AirAsia QZ8501 is placed into a container upon its arrival at the airbase in Pangkalan Bun, Central Kalimantan January 12, 2015. 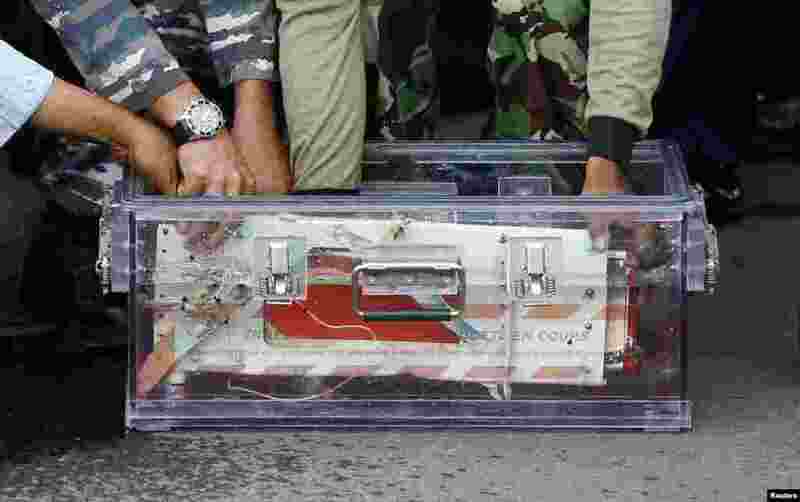 2 Indonesian divers hold the flight data recorder of AirAsia QZ8501 onboard the navy vessel KRI Banda Aceh, in the Java Sea, Jan. 12, 2015. 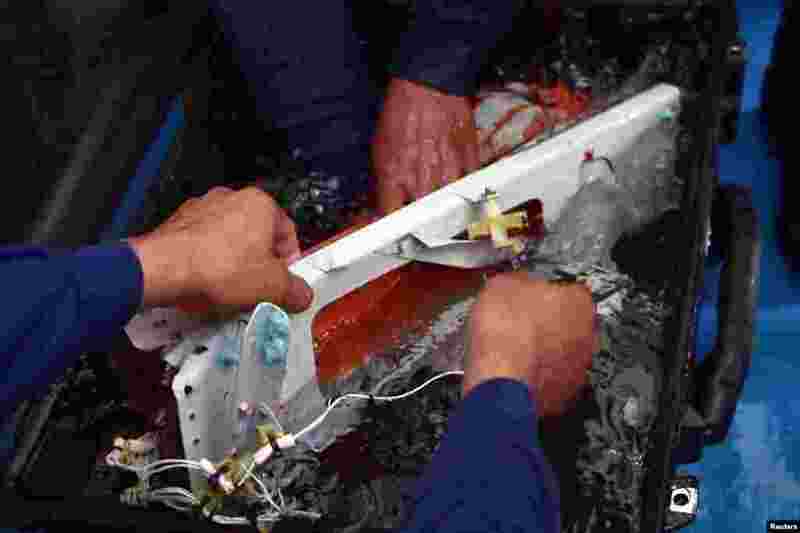 3 Investigators walk near a section of the tail of AirAsia Flight QZ8501 passenger plane in Kumai Port, near Pangkalan Bun, Central Kalimantan, Jan. 11, 2015. 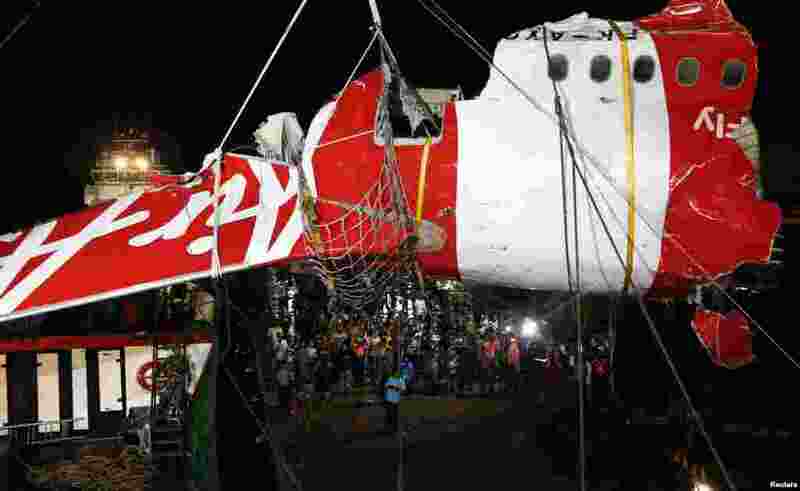 4 A section of the tail of AirAsia QZ8501 passenger plane is lifted off a ship and onto the back of a truck, the day after it was lifted from the seabed, in Kumai Port, near Pangkalan Bun, central Kalimantan, Jan. 11, 2015.